TidBits from Tandy is designed to bring inspiration and encouragement to your everyday life. September marks the beginning of a busy season. The kids are back to school, extra curricular activies begin and it seems like you are always behind the wheel, driving someone somewhere.Even without kids at home, my evenings are becoming filled up with activities that have resumed after a summer hiatus. It's important to remember to also take care of ourselves.This month I'm going to tell you about an interesting way I discovered to get total relaxation. I appreciate you taking the time to read my newsletter. TidBits from Tandy contains inspirational quotes, a short inspirational writing exclusive to this newsletter, a featured Canadian author and a little about what I'm up to. This is a little different from my normal posts, but I've just had an incredible experience I want to share with you. To begin, I need to tell you I’m a non-swimmer. This is basically because I won’t put my head in the water. Even the back float where my face stays out of the water is a no go for me. I’m afraid I’ll sink so panic when the water touches the back of my head. Why am I telling you this? I have just come from Ascension Float in Airdrie, where I experienced an environment that is difficult to put into words. 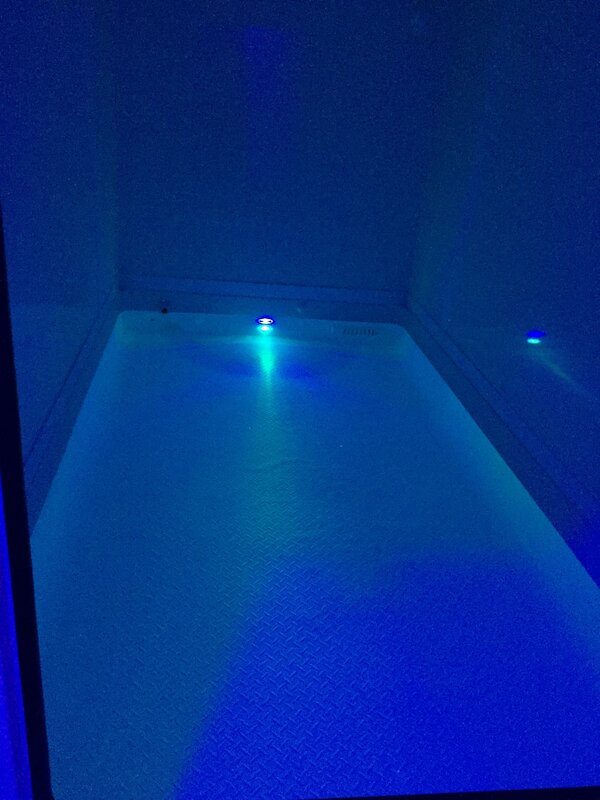 I had the choice of an open float room that offers a lidless experience or a float cabin. I chose the enclosed float cabin and closed the door behind me after I climbed in, effectively blocking out everything in the room. The ten inches of water in the tank is saturated with 1,000 pounds of dissolved Epsom Salt and warmed to body temperature. I was prepared to put my hands on the bottom for support but it wasn’t necessary. I lay on my back and became weightless in the water. The sensation of the water and air being the same temperature meant I couldn’t tell where my body ended and the water began. Sensory input was minimized and I had the option of turning off the soft light or leaving it on. Soothing music was piped in for the first few minutes just to help with relaxation and then turned on again to let you know your session had come to an end. I relaxed like never before in this environment where even gravity was suspended. If you need to unplug from the world and enter a state of deep mental and physical relaxation, I highly recommend floating. 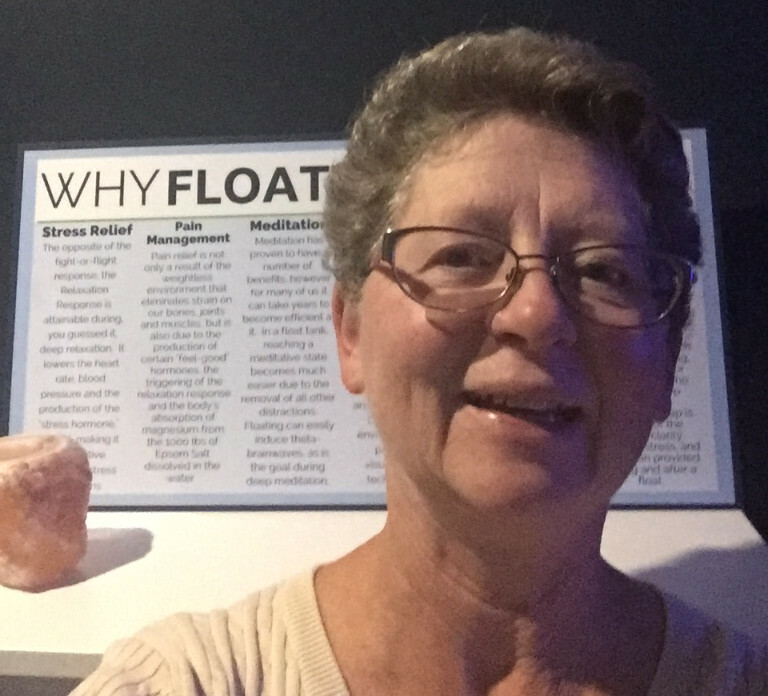 There are lots of studies on the benefit of floating but for me, it was the way I felt when I came out that will entice me back there again. "Almost everything will work again if you unplug it for a few minutes . . including you"
Author and Photographer, Ann Edall-Robson is a lover of life and all things that make us smile. Ann grew up in ranching country and her passion to keep the fast disappearing western heritage and traditions alive is evident in both her writing and photography. Influenced by the lifestyle she was raised in, she travels the country capturing moments others may never get to experience. Ann has been recognized for both her photography and writing. She is the author of Moon Rising: An Eclectic Collection of Works and has published two e-cookbooks in the From Our Home To Yours Series. She is a contributor to the Voice & Visions artisan anthologies and the Congress of the Rough Writers anthology. Her novel, The Quiet Spirits is scheduled for release in October 2017. 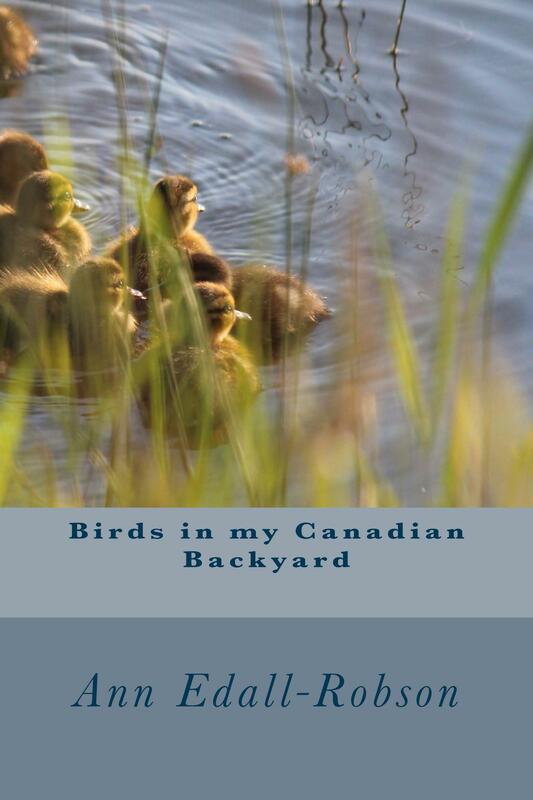 Birds in my Canadian Backyard is a general information field guide to identify birds found in the backyards, mountains, ponds, prairies, and waterways across Canada. Last month I told you I was a contributing author to two anthologies coming out this fall. That is no longer the case - now it's three! I'm happy to announce I have a story in Short and Sweet Too, which is being released in mid-October. The other two books, Christmas Stories and More and Christmas With Hot Apple Cider will be available through my website as of September 23rd. Friday, September 22 I will be in Edmonton for the book launch of Christmas, Stories and More. Sunday, October 1st, 6:30 pm - 9 pm. I am one of the authors in an Alberta Cultural Days Event at the Airdrie Public Library on Come out and meet the authors and artists who contributed to the Voice and Vision 2017 project. Refreshments, hands-on activities, door prize and live music will also be available at this free event. More information available here. It's going to be a fun event so plan to join us. The book produced by the Voice and Vision project will be available for sale that night or through my website as of October 1st. October 4th, I'll be taking part in a virtual book release party for Christmas with Hot Apple CIder. Information on how you can join in on this party will be on my website and Facebook page soon. Copyright © 2017 timewithtandy, All rights reserved. You are receiving this newsletter because you signed up on my website or at a personal appearance. If at any time you wish to unsubscribe please click on the link below.